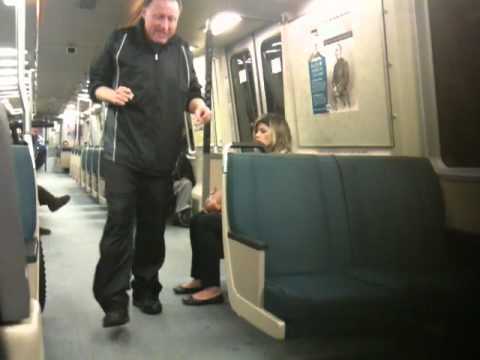 While commuting home, this guy walked into my train and started his own Giants pep rally. It should be noted that he thought the game was over a full hour and a half before it actually ended. The video starts kind of quiet but it picks up. There are 3 “scenes:” 1) Whoo 2) The Sunset 3) Exhaustion. Tagged bart, bay area rapid transit, crazy, fan, giants, SF. Bookmark the permalink. Well… I certainly feel relaxed now. woooo!!!!!!!! I would’ve done the same!